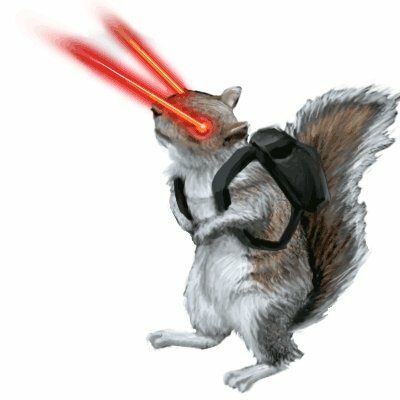 I have enjoyed this excellent explanation for two reasons: 1) I am a former laser physicist, having used He-Ne lasers for adjusting lenses and beam splitters; 2) I am just reading about squirrel-like animals – infected by spaceship control software – in Mostly Harmless, part 5 of The Hitchhiker’s Guide to the Galaxy’s ‘Trilogy of Five’. But I needed to google for Zynga’s Mafia Wars – I admit. This was great! It goes to show how we can understand explanations on things we find natural but, once the explanation is about something we deem too complex, our brains just tune out. I figured out you were talking about a laser around the second tree and couldn’t stop smiling all the way down. What a brilliant explanation.